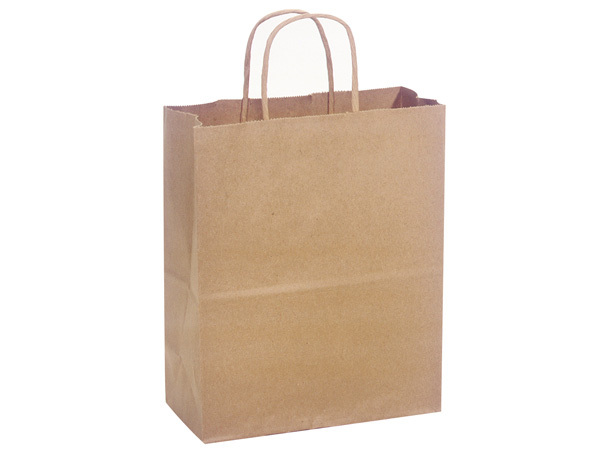 Cub 100% Recycled Paper Bags 250 Pk 8x4-3/4x10-1/4"
These brown kraft paper shopping bags with handles are 100% recycled with a minimum of 40% post-consumer recycled material. We offer these bags at wholesale prices in small, medium, large and jumbo sizes! We even have extra large gusset bags for food service and take out use! Easily create your own look with our solid color tissue paper! These gift bags are available in bulk cartons, small packs of 25 or you can choose from two assortments to cover the all the basic sizes!